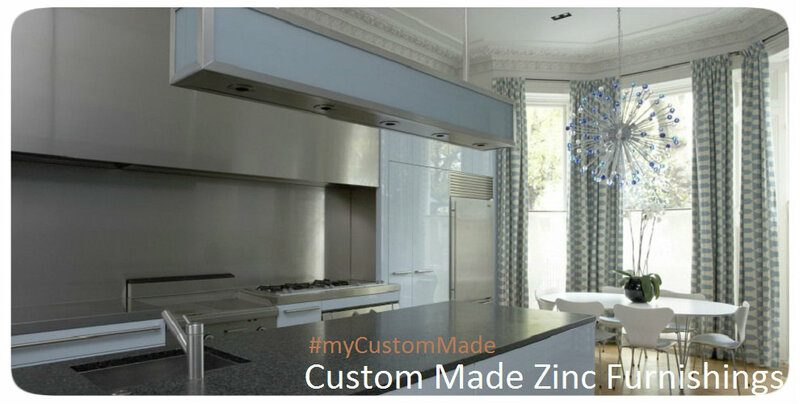 Click the button below to add the Zinc Range Hood "San Diego" to your wish list. Extraordinary zinc range hood design decorated with hammered copper apron and straps. You can buy this range hood in wall or island style and four finishing options. See detail page menu below the price for details. You are at liberty to buy it equipped with economy blower or customized for any other brand equipment. Prior to purchasing read instructions for selecting range hood correct ventilation system depending on the hood width. For restaurant use we suggest using third party ventilation equipment with capacity at least 1200 cubic feet per minute.